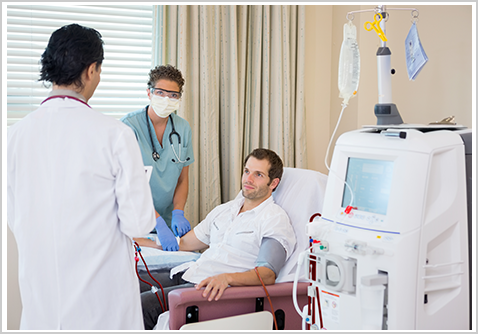 Make sure that you get the best treatment course for your kidney problem. Choose to hire our kidney specialists. Getting specific medical care makes a big difference in your well-being. If in case you need the service of kidney specialists, look no further than Advanced Kidney Medical Group in Bakersfield, CA. Our nephrologists are experts in retaining kidney function and managing various kidney diseases. Advanced Kidney Medical Group is a service-oriented practice dedicated to trying to achieve high-quality, evidence-based nephrology care to Kern County and its surrounding areas. At Advanced Kidney Medical Group, our four board-certified physicians, Hashim Kazmi, M.D., Peter McCauley M.D., and Sudhir Joshi, M.D., offer an advanced approach to nephrology. The goal of everyone involved in our practice is to provide our patients with superior medical care. All our physicians have completed training in both internal medicine and nephrology, and are actively involved in all aspects of patient care. Our staff works in a care team model to provide increased availability of services to our physicians and consultations for their patients. We are all committed to better serve you in the prevention, diagnosis, and treatment of all your kidney related needs. We hope that our teamwork will help you better understand your illness and the testing involved in establishing accurate diagnoses and treatment plans, and then take you towards a path to recovery. We always appreciate any feedback or suggestions you may have to help us continue to deliver the best service possible to our patients. Make sure that you get the best treatment course for your kidney problem. Choose to hire our kidney specialists. Expect high-quality care when you visit our doctor’s office. Our facility is fully equipped with the necessary tools and equipment needed to give you appropriate medical attention. Rest assured that we can provide the proper treatment that your health condition requires. Do you have questions or concerns about our specific medical services? Perhaps you want to find out more about the medical practice of our kidney specialists? No matter what your needs are, feel free to let us know. We are more than glad to fill you in with important details.